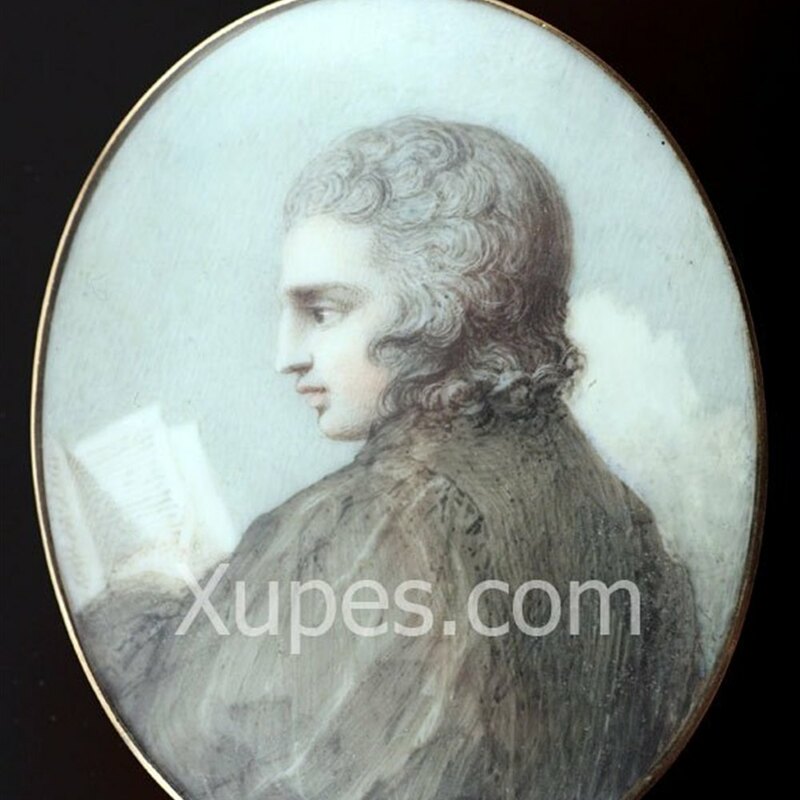 An exceptionally painted miniature watercolour portrait of a gentleman reading. The portrait originates from Sothebys in 1981 and was acquired as by Richard Cosway. The quality of the portrait is exceptional and it appears to have a faded signature to the margin. The portait is contained within a gold frame with a further window to the reverse containing a lock of hair. Originating from a private collection.